Bethany Sew-and-Sew: Presenting the the Phoenix apron! 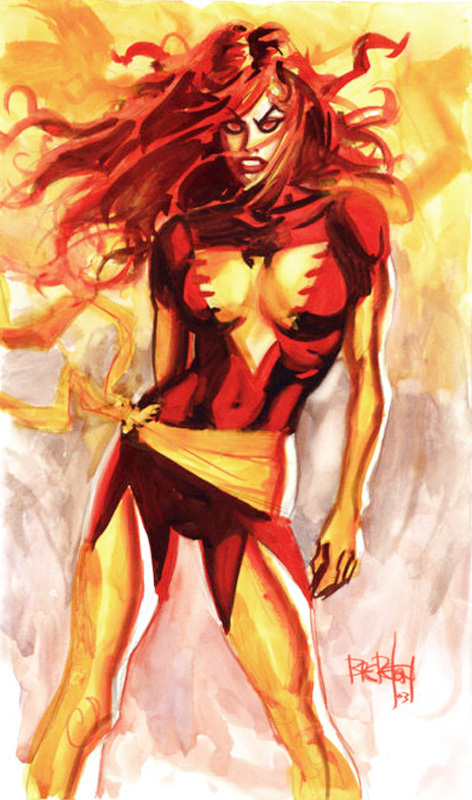 I really wanted the Phoenix's sash to tie on the hip instead of in the back like on traditional aprons. This posed a design conundrum, but after some trial and error I came up with a way to do it that I think works. I liked the apron even without the sash simply because the gold and red looked so polished together. I'm happy to have it in my collection! I just found your site. I SO WANT ONE of ALL!!!! Nice work. i got my apron today, bethany. I LOVE IT!! thank you so much! i think the sash is my favorite part. it's so fantastic. i almost don't want to wear it because i'm afraid i'll mess it up. found you from an episode on vsauce2 on youtube... love your aprons! I'm currently not taking any more orders since I'm really booked up for the Christmas season. Generally speaking though, they are $50 plus shipping. Flacco's injury spurred what in retrospect seems like a vital and necessary change. The Ravens inserted Jackson, the 32nd overall pick whom they had used as a gimmicky part timer, as their full time quarterback and overhauled their offense to suit his strengths and limitations. In an NFL predicated on passing, the Ravens became a run first offense that hinged on zone read plays.. If you feel guilty after you eat, it likely because you know deep down baseball mom shirts that you not eating for nutritional reasons.Identify your patriotic shirts emotional eating triggersWhat situations, places, or feelings make you reach for the comfort of food? Most emotional eating is linked to unpleasant feelings, but it can also be triggered by positive emotions, such as rewarding yourself for achieving a goal or celebrating a holiday or happy event. Common causes of emotional eating include:Stuffing emotions Eating can be a way to temporarily silence or down uncomfortable emotions, including anger, fear, sadness, anxiety, loneliness, resentment, and shame. While you numbing yourself with food, you can avoid the difficult emotions you rather not feel.Boredom or feelings of emptiness Do you ever eat simply to give yourself something to do, to relieve boredom, or as a way to fill a void in your life? You feel unfulfilled and empty, and food is a way to occupy your mouth and your time. Bush's legal team, which had said when filing the lawsuit in January 2016 that the surface in question was "now known by many as the 'concrete ring of death,' "argued that the injury cost him$10 $15 million in future NFL earnings. The incident occurred during the Rams' final season in St. Louis, after which they moved to Los Angeles, a relocation that caused much acrimony and bitterness toward team owner Stan Kroenke in the city where they had played since 1995..
And we don't know what will threaten Americans next," said CDC Director Robert R. Were Lyme disease and ehrlichiosis/anaplasmosis. stone cold steve austin shirts The most common mosquito borne viruses were West Nile, dengue, and Zika. Nothing is confirmed yet, but it's looking like former embarrassment turned trainwreck Sarah Palin is edging closer and closer to a 2012 presidential bid. She has specifically said she's not sure she teacher t shirts wants to run, valentines day shirts but literally every presidential candidate has done that exact thing they say they won't run until the last possible minute when they say, "Fine, I'll do it." It presents the image that they're both humble and a slave to the people. "I wasn't going to run, because I'm just an average Joe.